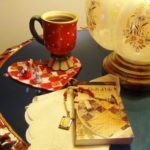 We’ve talked before about our favorite novels about quilting, and all the ways that quilting affects our lives, from charity quilting to quilt guilds. The best part of quilting is the community built into it; people who understand that “fat quarter” isn’t an insult and exactly how much work the gift of a quilt requires, especially if they’re hand-stitched! Quilting requires a lot of really difficult quilt math, creative energy, and boundless patience. These films and documentaries run the gamut from heartwarming movies to informative history lessons—just like the hobby of quilting itself. 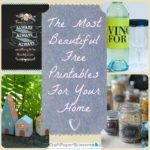 So settle in and enjoy! All of these films are available on Amazon. 1. 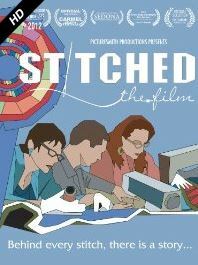 Stitched, the Film From Amazon: “Stitched” is a fun-filled documentary following three quilters racing to complete their entries for the International Quilt Festival, the largest and most competitive quilt show in the nation. The compelling doc uncovers an overlooked medium that has progressed from traditional folk to modern art. 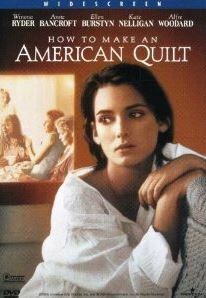 2.How to Make an American Quilt From Amazon: Berkeley graduate student Finn (Winona Ryder) is spending the summer at the home of her sparring grandmother and great aunt (Oscar winners Ellen Burstyn and Anne Bancroft), where she intends to finish her latest thesis and think over a marriage proposal. As she wrestles with her decision, the women in her grandmother’s quilting bee confide to her the stories of the loves that shaped their own lives. Also starring Maya Angelou, Kate Nelligan, Jean Simmons, Lois Smith and Alfre Woodard, How to Make an American Quilt is a deeply moving and funny film that celebrates following your heart. 3. 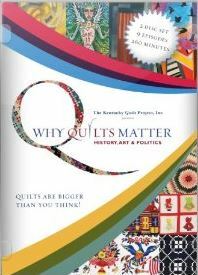 Why Quilts Matter: History, Art & Politics From Amazon: The nine-part documentary series will change the way you think about quilts. 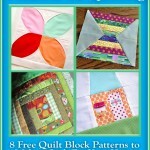 It’s an exploration of quilts with capital Q that takes you on an amazing journey. 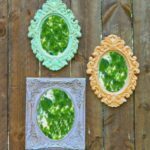 Episode by episode, this series introduces new ideas and uncovers the unsuspected size and depth of quilt culture. Delve into the inner workings of the art world, explore behind the scenes in the marketplace, and journey into the complicated, kaleidoscopic world of quilts: explore two centuries of history; watch as women gain power from their handiwork; consider the nature of art itself; and more. 4. 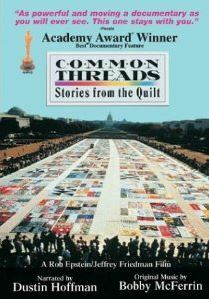 Common Threads: Stories from the Quilt From Amazon: Stories From The QuiltAs of 2004, a variety of drugs have been developed to resist, if not cure, AIDS–yet Common Threads: Stories from the Quilt remains as emotionally powerful as it was during the height of the crisis, when people were dying by the thousands every year. With a combination of photo-montages, interviews with friends and family members, home movies, and news footage, this 1989 documentary captures the grief of those who have survived victims of AIDS. A moving combination of art and politics. 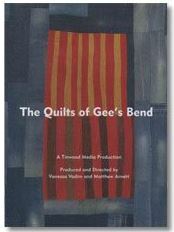 From Vimeo: The Quilts of Gee’s Bend documentary accompanies the major exhibitions of Gee’s Bend quilts. Set in the quiltmaker’s homes and yard, and told through the women’s voices, this music-filled, 28-minute documentary takes viewers inside the art and fascinating living history of a uniquely American community and art form. Available to watch free online here. Don’t miss out! 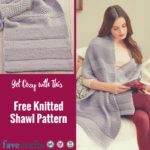 We’re giving away a Sizzix Fabi Starter Kit, absolutely free. 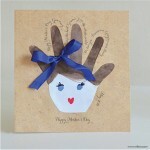 Cut modern and traditional shapes in a hurry with the new Sizzix Fabi Starter Kit. 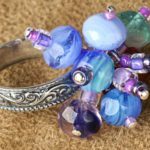 If you’ve never used a die cutter before, then this is the machine for you! Simply attach the handle and you are ready to cut. The cutting machine is very intuitive to use, and can easily cut through multiple layers of fabric. 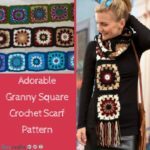 Do you have a favorite film about quilts? I love the quilts on the children’s beds in Nanny McFee!!! Loved How to Make an American Quilt.